Hi all! Long time no see! While I was gone the blog, as you can see, basically died. I had to leave SL for a while due to health reasons and when I came back I was sad to see what happened. I am not sure if anyone will revive the blog. I have my own blogs and I contribute to others so if no one is reading this one or participating I am not sure if it should continue. For now, however, I am still very much enjoy finding good deals! I still keep up with the Free*Style Flickr group, which is opted out of the limits so don't worry about being in too many groups to add photos! I am considering reopening the Free*Style Pinterest but haven't decided yet. If there is interest then I might. 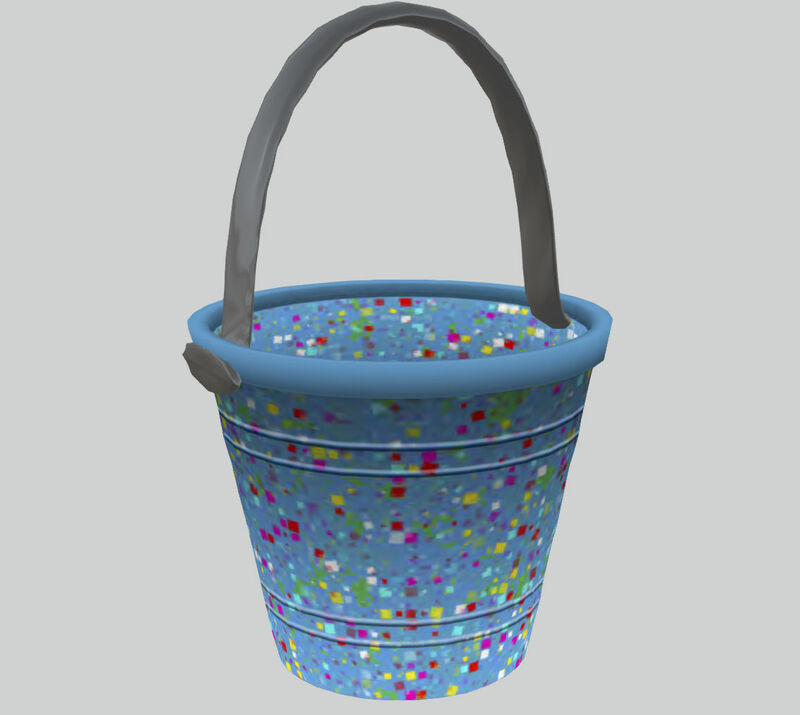 Shop Free*Style still exists so feel free to send you poor n00b friends there to check it out. So, as you can see, the freebie hunting lives on in a different way. I hope you can feel free to send me messages any time you need any SL help (or, heck, just want someone to tell you you're pretty and cool) and I will be there for my readers! Ciao! Once upon a time there was a little girl who dreamed that all the lucky boards she wanted changed to C when she wanted them to. What a nice fairy tale! 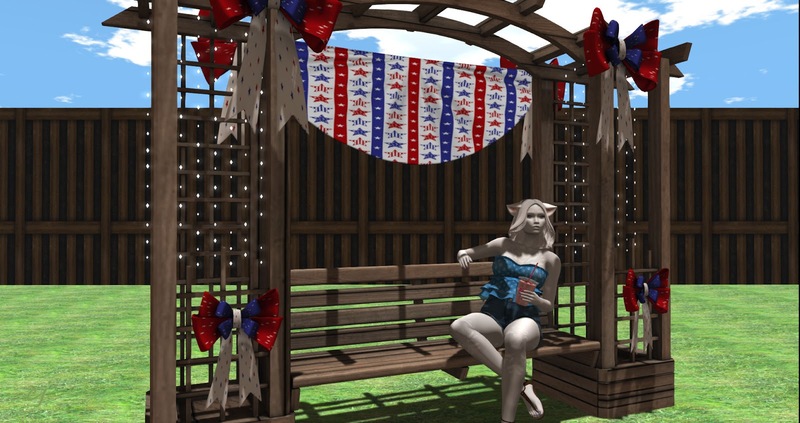 Reality is the Cosmo 5th Anniversary has lots of gifts from very generous designers and all you need is a free group slot! My AC at home has been fixed but it's still super hot outside. 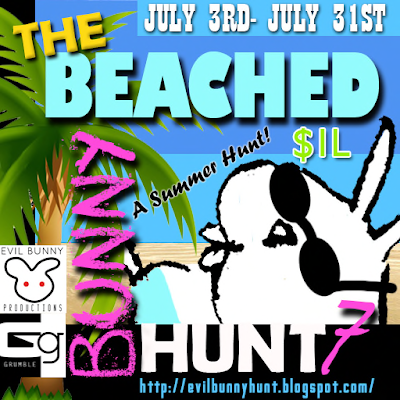 Time to find some nice cool water to swim in and enjoy more prizes from the Beached Bunny Hunt 7! Today's warm post is brought to you by over 90 degree heat and a broken AC unit. Also more gifts from the Beached Bunny Hunt 7 and Gacha Guardians. Happy 4th of July to all our American readers! The Beached Bunny Hunt 7 has started and I found a few things to help with tonight's festivities. Hello peeps! Long time no see! I was at Flowey grabbing a demo when I took a look at what the premium group has to offer. The fee is 100l$, but a lot of the past gifts are available, which makes it immediately worth it! Get ready! Summer's here so that means the lazy bunny has gotten himself stuck in the sand. I'll be posting previews along the way and you don't want to miss it! 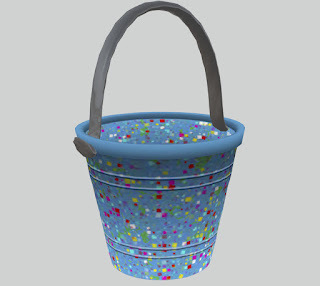 There's over 70 stops this time and all you have to do is find the sand bucket. a sale and a hunt! There has been a resurgence lately of vintage styles and I am enjoying it. One of my favorite periods is the 1920s so I was inspired to put together this inexpensive look and explore The 1920s Berlin Project. My dress is just one of the freebies (menswear as well!) available at the sim entrance with lots information to help get you started if you want to role play.